What is the most important thing to say after you have been offered a job and received an outline of the compensation? Negotiating your salary is a very important part of the job search process and it begins long before your first interview. These negotiations will set the stage for your work life, experience with an employer as well as subsequent positions/ compensation. Your “Brand Positioning” is just as important in establishing a salary as it is in establishing pricing for branded products. It is best to wait until after you receive a job offer, to start talking about compensation but if you want to maximize your earning potential, you have to start preparing yourself and your presentation long before the first interview. Negotiating is a two-way street, always strive to achieve a win-win situation. Each situation is different and everyone has a different style or approach, so understand the scope and then pick the following tips which will work best for you. Know the salary you can reasonably accept and expect for the type of position you seek in comparison with your experience, education, and the industry wage standards. Use one of the on line Salary bracket tools such as Salary.com , Salaryexpert.com , Payscale.com , Vault.com salary surveys, The Riley Guide Salary and Compensation Guide, Monster Salary Calculator or CareerBuilder.com’s Salary Information, etc. The most important attribute when negotiating anything is knowledge; knowledge of what you are worth and what you want for your career. Try and find out the salary range for the position before the interview. Your University placement office is a great source but you can also contact individuals in the department for which you will be interviewing, Talk with subordinates of the hiring manager, perhaps even his/ her executive assistant will be able to give you an idea. The HR department is sometimes helpful but doesn’t often like to disclose the salary brackets budgeted for each position. A networking contact that works in the department is always more comfortable and may prove helpful. It is not always advantageous to accept an offer on the spot. Often it is more advantageous to express your appreciation and strong interest in the job and request at least 24 hours to consider it, even when saying "Yes." Make sure that you ask any questions needing clarification including details about benefits, stock options and retirement plan contributions. Assess the job offer in terms of your needs, benefits, and long-term career and life goals. Talk it over with someone you respect. Make a list of the pros and cons of the job offer. Consider if the job description is clear. Note your reporting relationships, authority, and advancement potential. Keep asking questions until it is clearly understood. Careful thought and consideration will only gain you respect. The vast majority of job descriptions are poorly written, poorly detailed and rarely agreed upon by the hiring team. Your clarification efforts are often beneficial on both sides. If you want the job, make it clear that it is the job you want. If you are uncertain, state there are some items you would like to discuss before you can accept the job. Suggest meeting further to talk about the offer. Begin the negotiation with reasonable requests. Those requests could include more money, benefits package, tuition reimbursement, training, more vacation time, a flexible schedule, stock options, company car, on-site daycare, parking privileges, etc. etc. Negotiations should never become emotional or hostile. If you can use a third party (such as a recruiter or the placement office) to negotiate, do so. If you find yourself or your hiring managers becoming emotional, find a way to disengage. If either side had become emotional, the rational process has ended and outcomes are usually far less positive than when each participant remains balanced and clear headed. Use your value, skills, experience, and education to negotiate. Do not use your need for the job to negotiate. Never walk into a negotiation where you don’t know your cutoff point: your point (and ability) to walk away from the offer/ negotiations. Listen carefully. If the offer is less than you expected, let them know that, but state you are still interested in the position if they want to reconsider their offer. Don’t assume the first offer is fixed. Even if the interviewer tells you it is, it rarely is. Normally companies will proffer a verbal offer to get close to a final number before putting the offer in writing. It is always best to negotiate before the offer is put in writing. Often the hiring managers and or the general culture of companies will take offense or take it personally if a written offer is rejected. If you have asked for some time to think about an offer, indicated that you want something higher and the same figure is offered a couple days later, it probably is the last offer. In that case, you can ask for a salary review in six months to evaluate your performance and value, or you can turn the job down, asking that they keep you in mind for future openings paying more money. Even when saying "no," leave the door open to negotiation. Find a way to say that you are very interested in the company, the division, the position and working for the hiring manager but that you would like to find ways to improve the overall compensation package. Do not use a rejection as a way to negotiate a higher wage unless you are not interested in the position. When you say "no," be ready to lose the job offer forever. When you reach an agreement, ALWAYS request the agreement in writing (even if the hiring manager tells you that they don’t normally put the offer in writing). What if you aren’t offered the position or can't come to an agreement on the compensation? Let interviewers know that although you are disappointed, you are still interested in working for the employer and you have valued the opportunity for being considered and valued the opportunity to meet the hiring managers. Be sure to thank them for their time and interest. Re-emphasize that if appropriate future positions come open, you would be very interested. Find out if there are, or might be, other openings they could suggest or other persons (including in other companies) you could contact. The best third party recruiters operate under the principle that great people know great people and professionals always gravitate to like channeled professionals. Many times a person initially selected ends up turning the job down or does not work out. Currently approximately 60% of the individuals giving notice are given counter offers by their current employers. Counter offers are frequently taken. Keep the communication lines open, positive, and very professional no matter what the outcome. Always convey respect, dignity, understanding and value to the people that you are interacting with and again, no matter what the outcome, always send thank you notes to the individuals with whom you have interacted. This keeps your name in their mind for the next opening or future opportunities. Tell them that you would like to stay in touch with them as you progress professionally and build your professional network. Ask if you could contact them every four to six months to find out about possible position openings and / or new developments with the company. Stay positive. Congratulations are in order: You got the interview, which means the employer was interested in you and you got past what is often the most difficult hurdle. Do not take rejection or negotiation failure personally. The a priori in getting the interview is demonstrating the competencies needed for the performance objectives of the position. Depending upon the industry and the position it is often estimated that 50 to 90% of the hiring decision is then based on ‘chemistry’ or how much the hiring manager likes you…and that decision is usually made within the first 45 seconds of the interview process. This may seem unfair but never forget that teams have to work seamlessly to be efficient and effective. If someone doesn’t fit with the team, then team performance will suffer. The best way to improve the chances for chemistry to be found is to prepare yourself in understanding the perceived needs of the company, division, position, hiring manager, and learning as much as you can about the hiring manager/s: learn their backgrounds, likes, dislikes, hobbies, goals, etc. etc. etc. This information will give you hooks or connection points and enhance your understanding of how to present to their priorities. Never forget that the interview is never about you: it is always about them. Learn from the experience. Ask for feedback from the interviewer on what you could improve or do differently. Review ways that you could have better understood the hiring managers needs and goals and how better you could have presented your experience within the light of their priorities and lexicon. Learn how you could have interacted better in the interview to showcase your abilities and potential in the light of their priorities, needs and goals. Keep trying. This is not the time to stop. Forge ahead. Act to stay in control of your job search. Remember the salesperson’s motto: "No" is another step closer to "Yes." Do not despair. Getting turned down happens to all of us at some point in our lives. We always learn the most and grow the most when encountering difficult situations. Do a lot of research. A starting point is information available on the Internet. Most often, the greatest source of information and insight will be gained from talking with people in the same position within a target company or its competitors. Don’t be afraid to speak with individuals below the level of the hiring manager, they are always the best source of comprehensive information about expectations and relevant salary brackets. Those individuals will also be the best source of identifying the norms, the management style, the atmosphere, performance objectives, priorities, and needs of the position/ hiring manager. Knowing these parameters, you can most effectively position yourself to meet these, to get the interview and to start positioning yourself for the most appropriate salary. You can also get information from the library or trade journals and occasionally the business section of your local paper. Be prepared: the more you have researched, the more you know, the more likely you will receive the money you deserve. All positions or levels of employment have base salary brackets as well as bonus potential. These base salary brackets are different for industries and for locations. The sexier the industry and the more attractive the location, the more downward pressure there is on the salary brackets. After you have done your research, and you have a very clear understanding of the relevant salary brackets and your market value, you will have and project a clear understanding of appropriate starting salary ranges for your skills and abilities. Delay the discussion about salary as long as possible in the interviewing process however when pressed for your salary expectations, use this range in establishing your salary expectations. When pressed, or when appropriate after the decision has been made to offer you the position, offer a base salary range such as $75,000 to $85,000 or $100,000 to $125,000. The higher the numbers, the bigger the range you can give. Say to your prospective employer, "I am looking for a compensation package in the _________ to _________ range." Be very well prepared in all aspects of the positioning, interview and salary bracket expectations prior to the interview. When the time and process is right for the job offer, it is almost always best to have the employer make the first offer. When the offer is made, it is usually advantageous to let the employer know that you appreciate the offer, that you are very interested in the position, the department the company and working for the hiring manager and that you would like some time to consider all aspects of the offer. Make sure that you have all details of the offer including base, bonus potential, options, any allowances, details of the benefit plan etc. Then be quiet, take some time to consider all aspects of the offer. The majority of offers will come in the lower quartile of what a company has budgeted for the position and what they expect the candidate might accept. Typically, if an offer is going out to someone who is working, the offer will be a slight bump from where the current base salary is. If the candidate isn’t currently working, the company making the offer will often try for a base salary below where the last salary was. In any event, most companies, especially if the offer is handled by HR, will try to get a candidate for the lowest base salary cost possible. When being offered a position and a base salary, do not make a commitment to the salary initially. There are usually salary brackets budgeted and there is usually 3-5% available immediately from the hiring manager or from HR. When going above 10%, this usually requires higher authority and you have to weigh your risk in pushing the decision making up another notch. Quiet or delay often makes people nervous and by being quiet or indicating a desire to consider the offer, you will often be offered that extra 3-5% without even asking or negotiating for it. Whoever speaks first, establishes a point from which to negotiate away from. Delay talking about compensation until that last possible moments, hopefully until after the decision to hire has been made by the company. What not to do: If in the salary-negotiating stage of the meetings the employer says, "What do you really want?" Whatever number you give will be a point from which the employer may negotiate. Consider a position which has a salary bracket of $65-80,0000, if the candidate says "$70,000." Guess what will be offered? That’s right, $70,000 or less. If the employeer made the first offer, it might have come in at the same $70,000 but you now have the ability to negotiate up and getting to $75,000 should be relatively easy and $80,000 is even possible! Those numbers equal a very nice vacation for two in Europe! The one who establishes the first salary number always creates a point to negotiate away from! We have had situations where the candidate maneuvered so that the company made the first offer a ‘best offer’ and it was much higher than he expected. He was so tongue-tied he could not say anything. In his silence, he got a 10 percent raise as well as stock, not just stock options! Let your positioning and your delay/ consideration do at least some of your salary negotiations. Get the total compensation package and policies in writing. Make sure that you get your compensation package in writing. Most companies will give you a written offer letter. Very few will tell you that it isn’t their practice to put offers in writing. If a company refuses to put their offer in writing, you may want to consider this a warning sign that they are not as professional as other firms. If the offer is not given to you in writing, then write it down in all details and document the conversations yourself. If at all possible, use some form of correspondence, even email with the hiring managers or HR so that you have a written record. We often hear of individuals being made verbal offers only to find that actual compensation or benefits on the job vary, sometimes significantly. It is always best to get the offer in writing, in detail and have a signed copy by the hiring manager or individual authorized to make the offer. If you have signed correspondence, or even acknowledged correspondence, it is far easier to get rectification if there are subsequent errors or omissions. Brand You: Brand position yourself as a premium Brand meeting the perceived needs of the hiring manager. The negotiation process starts long before you ever interview. Would you rather have the value and net margins of a Publix Bleach or Clorox? Be Prepared: Become exceptionally prepared in knowing your worth, the company’s salary bracket for the position and how you might achieve a balance suitable for each side. You can never know too much about your target company, division, team, position, hiring manager. You can never do too much research. You have to take the attitude that you are interviewing and you are choosing the company, not the other way around. 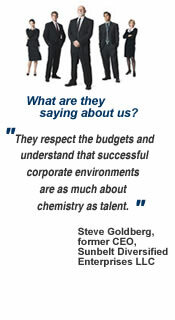 It is not about you: Have an acute knowledge of the needs and performance objectives of the company. It is never about you, it is always about your hiring manager/s and their perceived needs. Always negotiate Win Win situations. Never be arrogant, always be truthful and have high integrity in all your dealings. Delay: Delay establishing a base salary number until the last possible minute in the interview process. Options: Always have backup options and never go into a negotiation unless you are prepared to walk away at your decision point. Intermediaries, Emotions and Disengaging: Always try to have an intermediary in the negotiations, never let the negotiations become emotional. If they do find any excuse at all to disengage and come back when the emotions on both sides have calmed back to neutral. Take some time: When you get the offer, never accept immediately, always ask for some time to think about it. You will often get a 3-5% bump up in base salary offer just by asking to think about it for some time, often received as a reluctance to accept. Never forget that each position has budgeted brackets and moving within the mid range of that bracket is relatively easy for the HR representative and the Hiring manager. Moving above that range will escalate the decision making level and often create secondary issues. Complete the negotiation before getting it in Writing: Work out all the details of the total compensation package verbally before getting it in writing. When giving the employer a list of things you want changed/ improved make sure it is complete. Hiring managers get a bad taste in their mouth and often deals unravel if you come back repeatedly after each concession is made. Once offers are in writing it is usually much harder for the hiring manager to change or to get those above to change. Compound interest: Always strive to get the highest salary and position your experience and the company needs warrant: Base Salary values increase at an average of 3.5% for average performers and they increase at an average of 10% for top performers. Each position level carries salary brackets. Your ability to move vertically in base salary will depend on both position title and the bracket ranges. The rule of compounding interest is just as relevant in improving base Salaries. Get it in Writing: Always get the offer in detail and in writing. Get Creative: If you cant reach the base salary level you wanted but you still want the position, try to find other ways of improving your overall compensation or to increase the review interval so that you have the ability to move your base more rapidly than normal. 90 day plans: Always jointly craft a 90 day plan with your hiring manager before starting so that you have early wins and a very clear outline of performance objectives. This will significantly improve performance in the first year and improve the acceptance by other team members in the “on –boarding” process. This will significantly enhance your ability to improve your positioning and leverage at your first review. It is always Strategic: Every position, no matter how tactical it might seem will have strategic implications to your career. You have to take your career planning and execution very seriously: the rest of your work and personal life will depend on it. Jump while you still have a job: If you can plan your career and manage your career progression/plan execution while you are at successive positions, you are likely to get jumps in salary in the 10% range. If you are trying to land the next position while out of work, you will often get offers which are 5% less than your last position. Remember the principle of compounding interest. If you are planning and managing your career properly, you will begin positioning yourself for the next levels the second that you accept that next position, you will continue to network towards that next position immediately and you will begin interviewing long before you are ready to leave that position. Peruse current search assignments and apply for these positions by automatically linking with one of our executive recruiters. 2013 © The Farwell Group, Inc. All Rights Reserved.